Click here to submit a formal comment in opposition to the USFWS prematurely stripping our wolves of federal protections. Historically, wolves once numbered in the millions and inhabited virtually all of North America. Today, they exist in just one tenth of their historic range. But once again, the U.S. 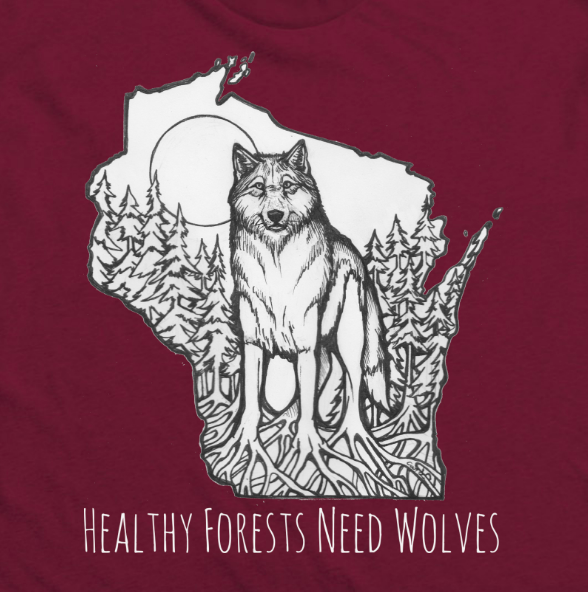 Fish and Wildlife Service is seeking to strip wolves of Endangered Species Act protections in the Great Lakes region and the rest of the lower 48. Ultimately, if Wisconsin wolves lose federal Endangered Species Act protections, two-thirds of the population will die at the hands of trophy hunters. The last time federal protections were prematurely stripped from Great Lakes wolves, state agencies opened up brutal hounding and trapping seasons where more than 1,500 wolves were killed in just three years. Currently, outdated quotas determined back in the 1990s aim to reduce the Wisconsin wolf population by as much as two-thirds. The duration of the hunting season is too long (Oct-Feb) allowing it to extend into the breeding season, making it difficult for packs to maintain stable populations, potentially leading to the devastation of the Wisconsin wolf population altogether. Submit your formal comment in opposition to the USFWS prematurely stripping our wolves of federal protections TODAY. IF AFRICA CAN PROTECT FLOCKS BY NONLETHAL MEANS IS AMERICA SO BACKWARD THEY CAN’T FIGURE IT OUT??? ?